These free printable alphabet templates are sure to come in handy whether you’re scrapbooking or looking for educational printables for the little ones! Confession: I’m a bit of a free printables hoarder. Whenever I find an awesome free printable I hang on to it. Surely it’ll come in handy at some point, right? I figure since they’re free and I’m only cluttering up digital space there are worse things. One of my fav printables to snag is printable alphabet letters because they have such a wide variety of uses. Some of the ways I’ve used bubble letters alphabet printables in the past is for education/entertainment and craft projects. I especially like using alphabet templates to help the little man get familiar with his letters. He can trace these free printable letters or color them in. I’ve also taken printable bubble letters and made flash cards and little matching games in the past. All are fantastic ways to help kids learn to recognize, sound out, and even write their letters! From a scrapbooking and crafting standpoint, there is so much you can do with printable alphabet letters. 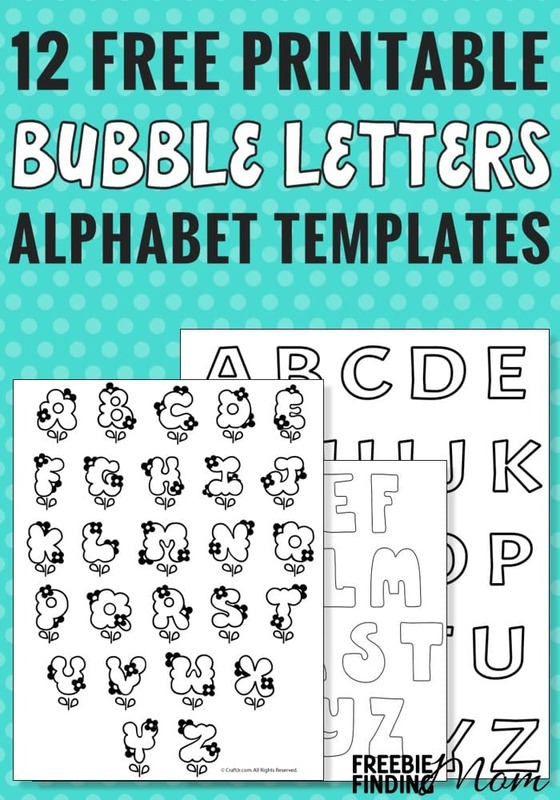 For example you can use bubble letters alphabet printables to make labels. I’ve also turned to free printable letters and alphabet templates when I need to frugally decorate for a baby shower. For example you can place printable bubble letters on a DIY bunting to make a cute banner. Honestly, the uses for free printable letters and alphabet templates are practically endless… which is why I’ve collected so many! 😉 This is especially true when you consider the huge variety of templates out there. Below are 12 of my favorite printable alphabet letters that I think you might enjoy having in your own printables collection. Oh, and if you’re looking for a slightly “fancier” alphabet printable, check out these printable calligraphy letters. 1. 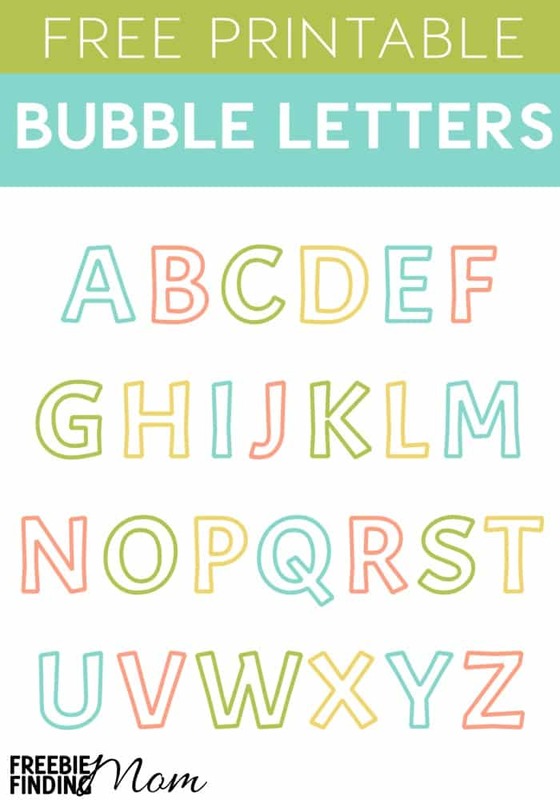 Free Printable Bubble Letters Alphabet (Freebie Finding Mom) – As the weather starts to cool off, finding frugal and fun indoor activities is a must! 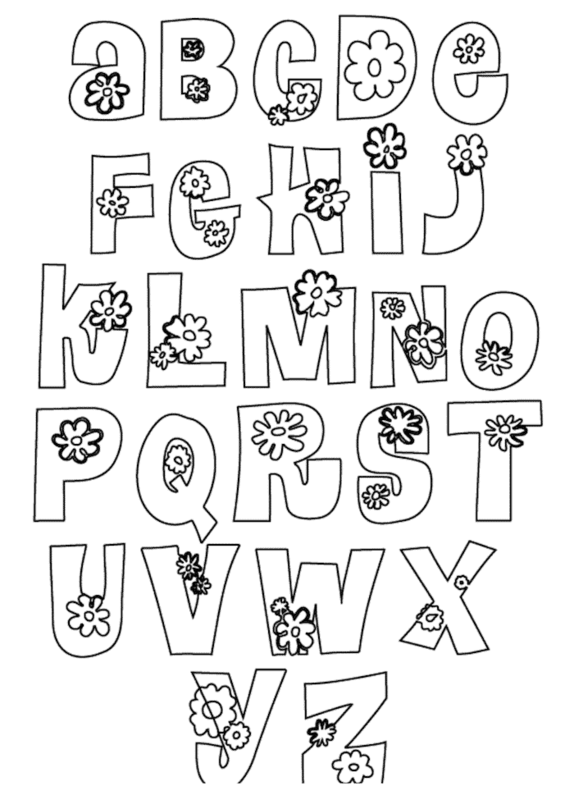 Free coloring sheets, like bubble letters alphabet templates, are a great option for a (mostly) mess-free indoor activity. Parents, you can get in on the fun too with these free adult coloring pages. 2. 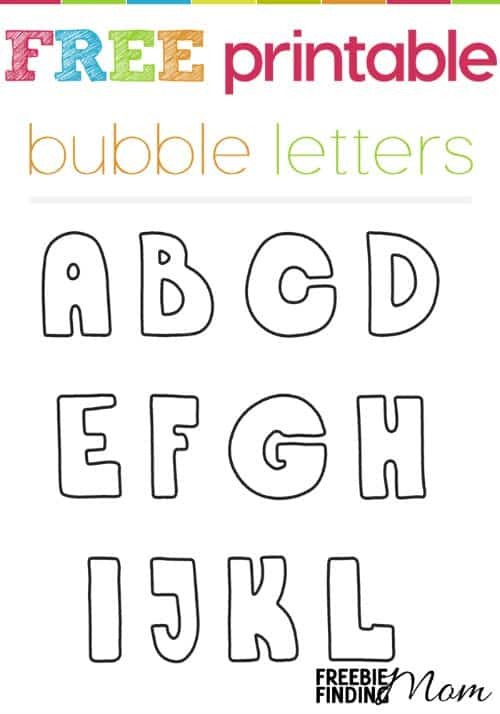 Free Printable Bubble Letters (Freebie Finding Mom) – Here’s another fun printable bubble letters template to try out. Consider making coloring sheets for your little one to decorate by cutting out the letters and spelling something (like his or her name) or the word “cat” above a colorable picture of a cat. 4. Printable Bubble Letters: Outer Space Letters (Kids Activities Woo! 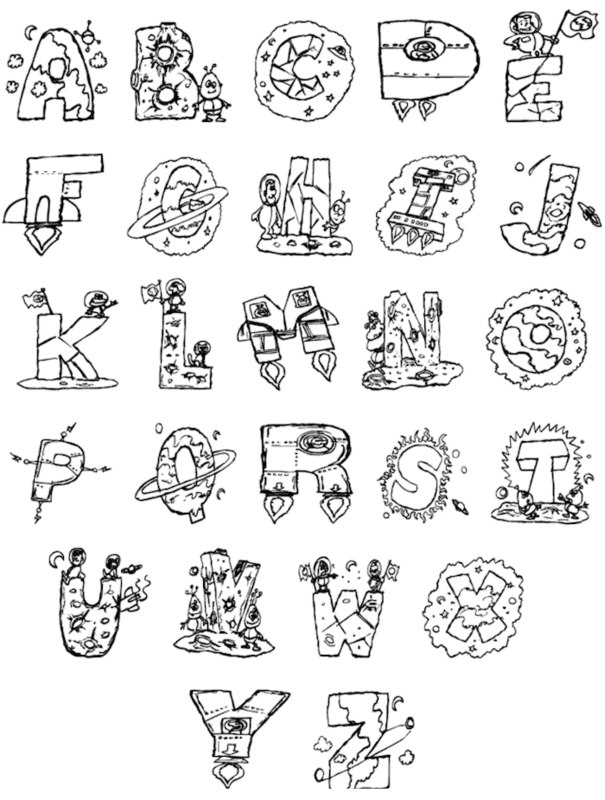 Jr) – These alphabet printables are simply out-of-this-world fun! If you have a kiddo who is obsessed with outer space, he or she is sure to love these coloring sheets. 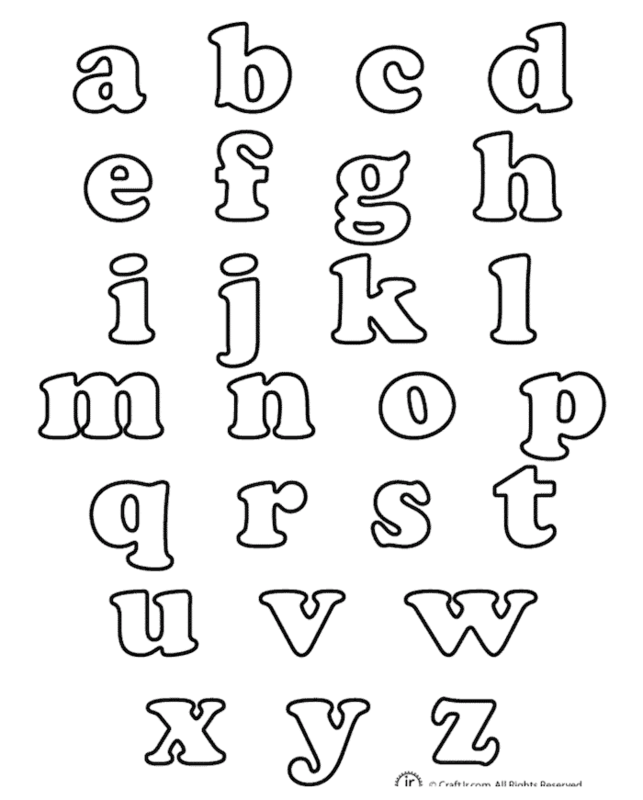 You could also use these free printable letters to make a bunting or sign to decorate his or her room. 5. Blooming Flower Bubble Letters & Free Font (Kids Activities Woo! Jr) – These whimsical printable alphabet letters are a great way to celebrate spring. Consider pairing them with some education on gardening. To find the best plants for kids read Discover the Best Plants for Kids and Make Gardening Exciting. 6. 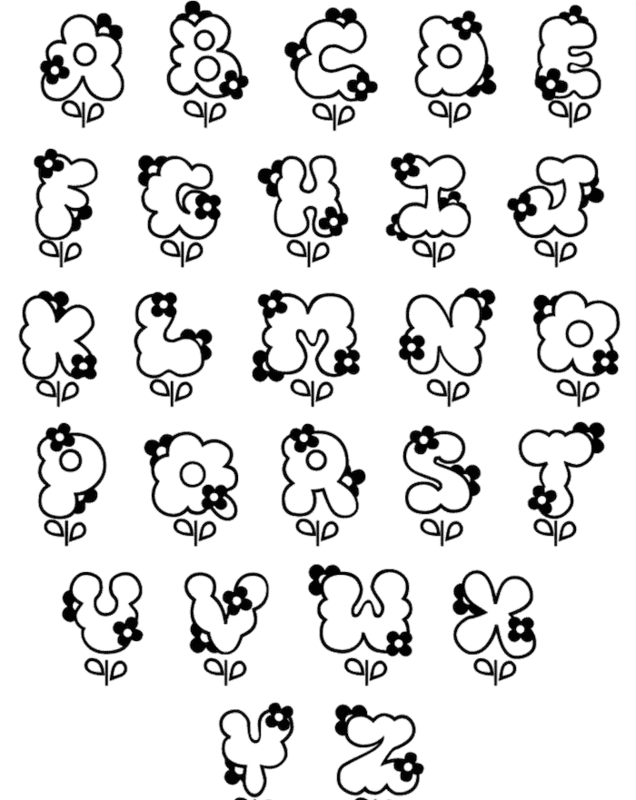 Printable Bubble Letters: Flower Letters (Kids Activities Woo! Jr) – Celebrating the birthday of a little princess? Throwing a baby shower for a little girl? These bubble letters alphabet templates with flowers are a must-have! Trying to download alphabet template and it’s not letting me. Already subscribed.